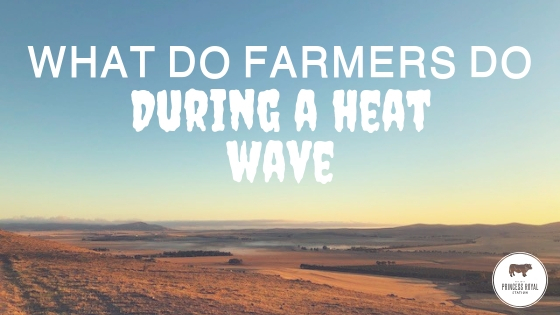 What do farmers do during a heat wave? The last couple of weeks have been uncomfortable for many around Australia as wave after wave of long hot days set in. Temperatures have reached over 40 degrees across the country, in many areas of inland Australia well above for days in a row, but everything can’t stop for the weather. So, what do farmers and producers do to ensure the welfare of their stock during these scorchers and what steps do they have to take? Well, firstly they get up earlier... much earlier. Starting early and finishing early ensures that they can get through all the day’s tasks. Water runs and checking troughs becomes a priority for obvious reasons. 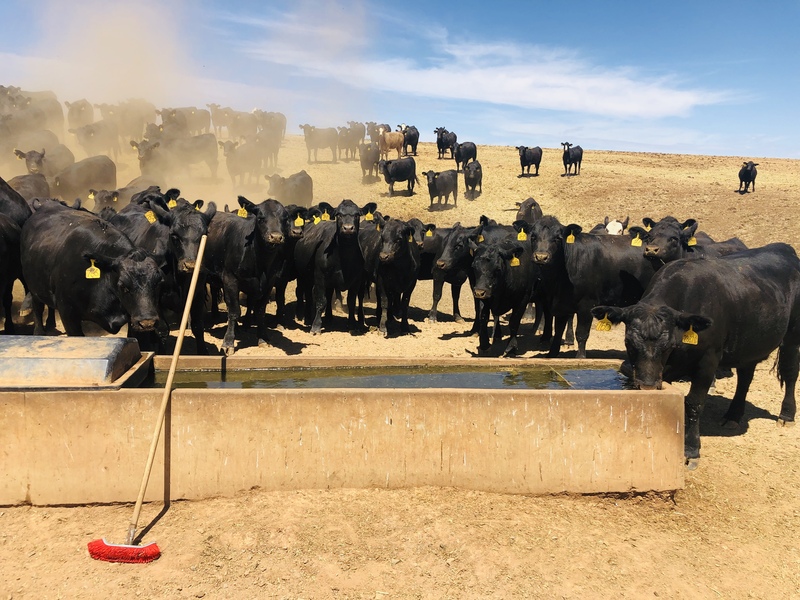 They need to make sure that their stock have access to good quality drinking water, so water runs, checking troughs, bores and pumps become a priority. At the same time, they are often feeding out hay, particularly this year where conditions have been dry, and feed is scarce. Often producers will prefer to work or move stock at night after their livestock have had time to cool off from the hot day. It is essential that the livestock are allowed enough time to cool down. It is important that producers keep an eye on livestock during the day and monitor their condition to make sure they are not suffering in the heat. With sheep and cattle, a good indication of how they are coping is what is known as a their panting score. The respiratory rate for cattle and sheep will notably increase when they are suffering from heat stress. When they are really starting to get too hot they will open mouth pant, like a dog would, start salivating and drooling and even refuse to move. Keeping an eye on the weather is key to ensuring that plans can be put in place to avoid working stock during hot weather. Where there are any adverse weather conditions that may cause livestock to suffer heat stress predicted, care must be taken before livestock are loaded. The duration of the trip and the airflow available to stock must also be considered. If hot and humid conditions are expected, livestock will most likely suffer and should not be transported until the conditions change. 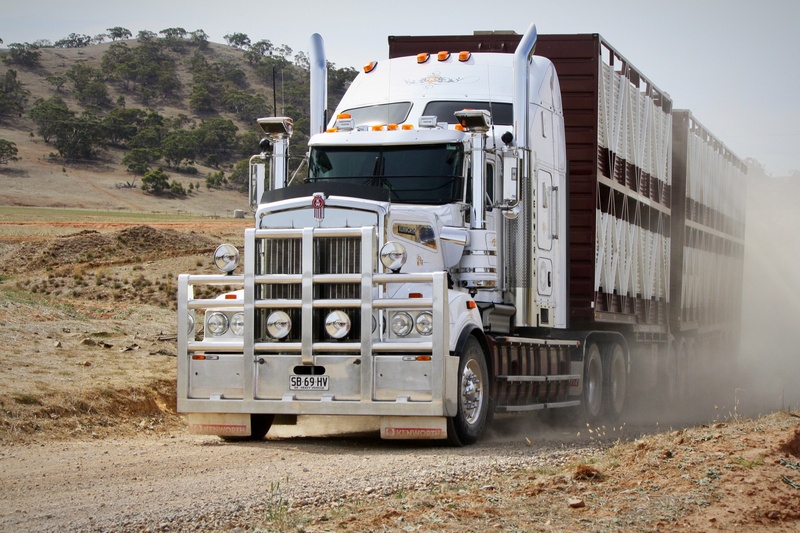 For more information on the land transport of livestock, check out the Australian Animal Welfare Standards and Guidelines of the Land Transport of Livestock. The fire danger season in Australia is usually around the same time of year as harvest. In South Australia, the fire ban starts in around November and ends around April. During harvest, farmers must keep a close eye on the weather conditions to prevent any risk of bushfires. Country towns have fire danger warning signs that give farmers an indication of the level of risk of a bushfire on any given day. The CFS is usually the best point of call when farmers are unsure of the risk of a bushfire and it is something that producers take very seriously. The widespread damage and destruction that a fire can cause can be devastating, as we have seen far too often. For more information on safe bushfire practices and farm fire safety visits the CFS Farm Fire Safety page. At the end of the day there is still a lot of work that the farmer needs to get done, hot or not. Keeping informed about any incoming weather, ensuring that livestock are coping with the conditions and adjusting normal daily tasks is key to getting through hot periods.